A young boy could have saved this man. 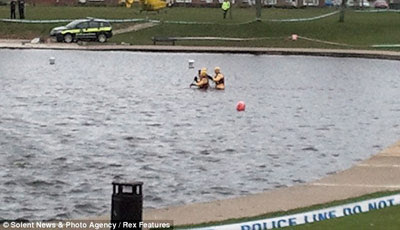 What is up with Britain when firefighters and police officers cannot wade into a bit of water because of regulations? This makes me sick. Does this mean firefighters cannot approach a burning house unless the flames only reach an inch high without a certificate? Let's wait for the "trained" authorities and then they can drag out the charred bodies. Disgusting.